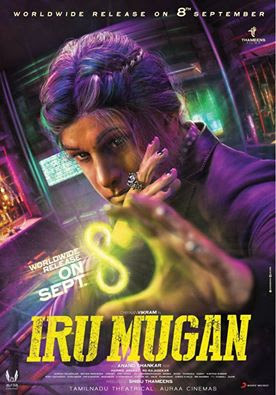 Hello Friends, We sharing some beautiful pics, images, pictures of upcoming Tamil Movie Iru Mugan. This is a science fiction action thriller film written and directed by Anand Shankar. Vikram, Nayantara and Nithya Menen are playing main lead role. Vikram is in a dual role as both the protagonist and the antagonist other Nassar, Thambi Ramaiah, Karunkaran and Riythvika are in supporting role. The movie trailer has already released. Trailer is awesome and also received positive reviews from critics and audience both. The movie is being released on date 8 September 2016. I have collected looks, images and photo of Vikram and actress Nayantara & Nithya Menen as well as Iru Mugan Image and Wallpapers.